The tenets of Wahhabism disseminated by Muhammad ibn ‘Abd al-Wahhab changed into a political form in a short time in 1150 A.H. (1737) and spread all over Arabia. Later, by the order of the Caliph in Istanbul, Muhammad ‘Ali Pasha, the Governor of Egypt, liberated Arabia from them with the armed forces of Egypt. ‘Abd al-‘Aziz ibn Muhammad, who believed in the Wahhabis,declared war for the first time in 1205 A.H. (1791) against the amir of Mecca, Sharif Ghalib Effendi. They had disseminated Wahhabism secretly till then. They had killed and tortured many Muslims, enslaved their women and children and usurped their possessions. Muhammad ibn ‘Abd al-Wahhab belonged to the Bani Tamim tribe. He was born in Uyayna village near the town ofHuraimila in the Najd Desert in 1111 A.H. (1699) and died in1206 (1792). Formerly, with the idea of trading, he went to Basra, Baghdad,Iran, India and Damascus, where he won the name “Shaikh an-Najdi” due to his clever and aggressive attitude. He saw and learnt a great deal at these places and set his heart on the idea of becoming a chief. In 1125 (1713 A.D.), he met Hempher, a British spy, in Basra, who understood that this unexperienced young person (ibn ‘Abd al-Wahhab) has a desire to be a chief by way of revolution, established a long-term friendship with him. He inspired him the trics and lies that he had learned from the British Ministry of the Commonwealth. Seeing that Muhammad enjoys these inspirations, he proposed him to establish a new religion. So, the spy and Muhammad ibn ‘Abd al-Wahhab got what they were looking for. He had thought it proper to found a new Tariqa or reach his goal, and, in preparation for this goal, attended the lectures of the Hanbali ‘ulama’ in the blessed city of Medina and later in Damascusfor some time. When he went back to the Najd, he wrote pamphlets on religious subjects for villagers. He wrote what he learned from the British spy and mixed corrupt information from the Mutazila and other groups of bidat. Many ignorant villagers, particularly the inhabitants of Dar’iyya and their ignorant chief, Muhammad ibn Sa’ud, followed him. The Arabs esteemed ancestral distinctions very highly, and because he did not belong to a well-known family, he used Muhammad ibn Sa’ud as a tool to disseminate his Tariqa, which he named Wahhabism. He introduced himself as the Qadi (Head of the Religious Affairs) and Muhammad ibn Sa’ud as the Hakim (Ruler). He had it passed in their constitution that both would be succeeded only by their children. Muhammad ibn ‘Abd al-Wahhab’s father, ‘Abd al-Wahhab, who was a pious, pure alim in Medina, his brother Sulaiman ibn ‘Abd al-Wahhab and his teachers had apprehended from his statements, behavior and ideas, which he frequently had put forward as questions to them when he was a student in Medina, that he would become a heretic who would harm Islam from the inside in the future. They advised him to correct his ideas and advised the Muslims to avoid him. But they soon encountered the very thing they were afraid of, and he started disseminating his heretical ideas openly under the name of Wahhabism. To deceive ignorant and stupid people, he came forward with reforms and innovations incompatible with the books of the ‘ulama’ of Islam. He dared to be so impetuous as to deem the true Muslims of Ahl as-Sunnat wal-Jamaat as disbelievers. He regarded it as polytheism to ask Allahu ta’ala for something through the mediation of our Prophet (sall-Allahu ‘alaihi wa sallam) or other prophets or awliya’, or to visit their graves. According to what Muhammad ibn ‘Abd al-Wahhab learned from the British spy, he who talks to the dead while praying near a grave becomes a polytheist. He asserted that Muslims who said that someone or something beside Allah did something, for example, saying “such-and-such medicine cured” or “I obtained what I asked through our master Rasulullah” or “such-and-such wali” were polytheists. Although the documents Ibn ‘Abd al-Wahhab made up to support such statements were nothing but lies and slanders, the ignorant people who could not distinguish right from wrong, the unemployed, raiders, ignoramuses, opportunists and the hard-hearted soon assented to his ideas and took their part on his side and regarded the pious Muslims of the right path as disbelievers. When Ibn ‘Abd al-Wahhab applied to the rulers of Dar’iyya with the view of disseminating his heresies easily through them, they willingly cooperated with him with the hope of extending their territories and increasing their power. They strove with all their might do disseminate his ideas everywhere. They declared war against those who refused and opposed them. The bestial people and pillagers of the desert competed with one another in joining the army of Muhammad ibn Sa’ud when it was said that it was halal to plunder and kill Muslims. In 1143 (1730), Muhammad ibn Sa’ud and Muhammad ibn ‘Abd al-Wahhab hand in hand arrived at the conclusion that those who would not accept Wahhabism were disbelievers and polytheists, and that it was halal to kill them and confiscate their possessions, and publicly announced their declaration seven years later. Then, Ibn ‘Abd al-Wahhab started fabricating ijtihad when he was thirty-two years old and announced his false ijtihads at the age of forty. These books did not help much but rather increased the Wahhabis’ resentment against Muslims and excited Muhammad ibn Sa’ud to attack Muslims and augment the bloodshed. He belonged to the Bani Hanifa tribe, so was a descendant of a stupid race that believed in the prophethood of Musailamat al-Kadhdhab. Muhammad ibn Sa’ud died in 1178 (1765), and his son ‘Abd al-‘Azizsucceeded him. ‘Abd al-‘Aziz was assassinated, stabbed in the abdomen by a Shiite, in the Dar’iyya Mosque in 1217 (1830). Then, his son Sa’ud ibn ‘Abd al-‘Aziz became the chief of the Wahhabis. All three strove very hard, as if competing with one another, to shed Muslim blood in order to deceive the Arabs and to disseminate Wahhabism. It was Sharif Ghalib Effendi’s fault that Ta’if was lost in vain. If he had stayed in Ta’if, Muslims would not have suffered that doom. Since “Traitors are cowards,” the Wahhabis did not believe that the Ta’ifians would surrender readily. But, seeing the flag of truce on the fortress, they sent an envoy to the fortress to investigate the situation. The Ta’ifians, pulled the envoy up to the fortress with a rope. “Gather all your goods here and surrender if you want to save your lives,” said the envoy. All their possessions were gathered with the effort of a Muslim named Ibrahim. Although they begged him to be a little bit softer, he increased his aggression and harshness. Ibrahim, unable to be patient any more, hit him on the chest with a stone and killed him. During this confusion, the Wahhabis attacked the fortress, thus they escaped from being hit by cannon balls and bullets. They broke the gates and entered the fortress. They killed every woman, man and child they saw, cutting even the babies in cradles. The streets turned into floods of blood. They raided the houses and plundered everywhere, attacking outrageously and madly till sunset. They could not capture the stone houses in the eastern part of the fortress, so they besieged and put those houses under a shower of bullets. a Wahhabite scoundrel shouted: “We forgive you! You may go wherever you want with your wives and children,” but they did not yield. Meanwhile, the Wahhabis gathered the people, who had set out to migrate, on a hill and encircled those pure Muslim families, who had grown up amid fondling and affection and most of whom were women and children, and held them to die of hunger and thirst for twelve days, and tortured them by slandering, stoning and cudgeling. The Wahhabis called them one by one and beat them and said, “Tell us where you hid your possessions!” and howled, “Your day of death is coming!” to those who begged for mercy. Ibn Shakban, after pressing the stone houses violently for twelve days and being unable to make them yield, promised that those who would come out of the houses and give up arms would be forgiven. Muslims believed him and came out, but, with their hands tied behind their backs, they were drawn by Ibn Shakban to the hill where the other Muslims were encircled. Three hundred and sixty-seven men, together with women and children, were put to the sword on the hill (rahmat-Allahi ‘alaihim ajmain). They made animals trample on the bodies of the martyrs and left them unburied to be eaten by beasts and birds of prey for sixteen days. They plundered Muslims’ houses and gathered all they took into a big heap in front of the gateway of the fortress and sent one fifth of the goods and the money they collected to Sa’ud, sharing the remainder among themselves. The traitors and torrential rains swept away uncountable money and invaluable goods, and there remained little, only forty thousand gold rials, in the hands of Ahl as-Sunnat; ten thousand rials were distributed to the women and children, and the goods were sold very cheaply. The Wahhabis tore up the copies of the Qur’an al-karim and books of tafsir, hadith and other Islamic books they took from libraries, masjids and houses, and threw them down on the ground. They made sandals from the gold-gilded leather covers of the Qur’an copies and other books and wore them on their filthy feet. There were ayats and other sacred writings on those leather covers. The leaves of those valuable books thrown around were so numerous that there was no space to step in the streets of Ta’if. Although Ibn Shakban had ordered the looters not to tear up the copies of the Qur’an al-karim, the Wahhabite bandits, who were gathered from the deserts for looting and who did not know the Qur’an al-karim, tore up all the copies they found and stamped on them. Only three copies of the Qur’an al-karim and one copy of the Sahih of al-Bukhari were saved from plunder in the big town of Ta’if. a mujiza: The weather was calm during the plunder of Ta’if. There was no wind. a storm broke out after the bandits went away, and the wind lifted up all the leaves of the Qur’an al-karim and Islamic books and swept them away. soon there was no piece of paper left on the ground. Nobody knew where they were taken. It was also for the purpose of insulting and taking revenge on the dead Muslims that the bandits kept the martyrs unburied until they decayed. But, as said in a couplet. The status of martyrs (rahmat-Allahi ‘alaihim ajmain) in Allah’s esteem increases when their corpses are left unburied to decay and to be prey for birds and beasts. The bandits completely ruined the shrines of as-Sahabat al-kiram, awliya’ and ‘ulama’ after putting the Muslims of Ta’if to the sword and dividing up the loot and the money. When they attempted to dig a grave with a view to take out and burn the corpse of Hadrat ‘Abdullah ibn ‘Abbas, who was one of our Prophet’s most beloved companions, they were frightened by the pleasant scent that came out when the first pickaxe hit the ground. Although they put much powder and tried hard, the powder misfired and they went away in astonishment. The grave was left level with the ground for a few years. Later, Sayyid Yasin Effendi put a very nice sarcophagus on it and protected that blessed grave from being forgotten. The bandits also tried to dig up the graves of Sayyid ‘Abd al-Hadi Effendi and many other awliya’, but they were prevented by a karama at each grave. Facing extraordinary difficulties in carrying out this vile intention of theirs, they gave it up. ‘Uthman al-Mudayiqi and Ibn Shakban also ordered that the mosques and madrasas should be demolished together with the shrines. 39 – Although the rascals also attacked Mecca after shedding much Muslim blood in Ta’if, they did not dare to go into the city because it was the time for pilgrimage. Sharif Ghalib Effendi was inJidda to raise an army to resist the Wahhabis, and the people ofMecca, frightened by the Ta’if calamity, sent a committee to the Wahhabite commander and begged him not to torture them. The Wahhabis entered Mecca in Muharram 1218 A.H. (1803) and disseminated their beliefs. They announced that they would kill those who would visit graves or go to Medina to entreat in front of Rasulullah’s shrine. Fourteen days later, they assaulted upon Jidda to capture Sharif Ghalib Effendi, who straightforwardly attacked the Wahhabite bandits from the Jidda fortress and killed most of them. The remainder fled to Mecca. Upon the Meccans begging, they appointed Sharif Ghalib Effendi’s brother Sharif ‘Abd al-Muin Effendi as the amir of Mecca and went back to Dar’iyya. Sharif ‘Abd al-Muin Effendi accepted being the amir in order to protect the Meccans from being tortured by the Wahhabis. Sharif Ghalib Effendi returned to Mecca with the Jiddan soldiers and the governor of Jidda, Sharif Pasha, thirty-eight days after the bandits were defeated in Jidda. They drove away the bandits left in Mecca, and he became the amir again. The bandits attacked the villages around Ta’if and killed many people to take revenge on the Meccans. They appointed the bandit ‘Uthman al-Mudayiqi as the governor of Ta’if. ‘Uthman called together all the bandits around Mecca and laid siege to the city with a big gang of looters in 1220 (1805). The Meccan Muslims suffered distress and hunger for months, and there was not even left a dog to eat on the last days of the siege. Sharif Ghalib Effendi understood that there was no other way out but to enter into a treaty with the enemy in order to save citizens’ lives. He surrendered the city under the condition that he should be left as the amir of the city and that the Muslims’ lives and possessions should be safe. The bandits captured Medina after Mecca and plundered the most valuable historical treasures of the world, which had been collected in the Khazinat an-Nabawiyya (the Prophetic Treasure) for over a millennium. They treated the Muslims in so rude a manner that it is impossible to put into words. Then, they went back to Dar’iyya after appointing somebody named Mubarak ibn Maghyan as the governor of the city. They stayed in Meccaand Medina and did not let the pilgrims of Ahl as-Sunnat intoMecca for seven years. They covered the Kaba with two sheets of black cloth called Qailan. They forbade smoking the hookah and badly cudgeled those who smoked it. Meccans and Medinans disliked and kept away from them. “The tortures done to the Muslims in the blessed city of Mecca and to the pilgrims every year were so heavy that it is very difficult to describe in detail. Sharif Ghalib Effendi, with the governor of Jidda, assembled the leaders of the pilgrim caravans from Damascus and Egypt in 1217and told them that the bandits intended to attack the blessed city of Mecca, and that if they would help him they altogether could capture Sa’ud, their chief. But his proposal was not accepted. Then, Sharif Ghalib Effendi appointed his brother Sharif ‘Abd al-Muin Effendi as his deputy and went to Jidda. Sharif’ Abd al-Muin Effendi, as the amir of Mecca, sent five scholars of Ahl as-Sunnat, namely Muhammad Tahir, Sayyid Muhammad Abu Bakr, Mir Ghani, Sayyid Muhammad ‘Akkas and ‘Abd al-Hafiz al-‘AJami, as a committee of goodwill and forgiveness to Sa’ud ibn ‘Abd al-‘Aziz in1218. “Sa’ud responded and went to Mecca with his soldiers. He appointed ‘Abd al-Muin as the head official of the district and ordered that all shrines and graves should be demolished, because, in view of the Wahhabis, the people of Mecca and Medinawere not worshiping Allahu ta’ala, but shrines. They said that they would be worshiping Allah in its true form if shrines and graves were demolished. According to Muhammad ibn ‘Abd al-Wahhab, all the Muslims had died as disbelievers or polytheists since 500 A.H. (1106); the true Islam was revealed to him, and it was not permissible to bury those who became Wahhabis near the graves of polytheists, by which he referred to the real Muslims. “Sa’ud attacked Jidda to seize Sharif Ghalib Effendi (rahmat-Allahu ‘alaih) and capture Jidda. But, the people of Jidda, hand in hand with the Ottoman soldiers, bravely defeated the enemies and put Sa’ud’s soldiers to flight. Sa’ud, gathering those fleeing, returned toMecca. “Although Sharif ‘Abd al-Muin Effendi (rahmat-Allahi ‘alaih) tried to be friendly with the Wahhabis in order to protect the Meccan Muslims against massacre and torture, the ferocious Wahhabis increased the severity of torture and pillage day by day. Seeing it was impossible to get along with them in peace, he sent a message to Sharif Ghalib Effendi saying that Sa’ud was in Meccawith his soldiers encamped at the Mu’alla Square and that it would be possible to capture Sa’ud if he assaulted them with a small number of soldiers. “Upon the message, Sharif Ghalib Effendi took some distinguished soldiers with the governor of Jidda, Sharif Pasha, and attacked the Wahhabis in Mecca at night time. He encircled their tents, but Sa’ud fled alive. His soldiers said that they would surrender their arms if they would be forgiven, and their wish was accepted. Thus the blessed city of Mecca was saved from those cruel people. This success frightened the Wahhabis in Ta’if, who also surrendered without any bloodshed. The cruel ‘Uthman al-Mudayiqi fled to the mountains in Yaman with his men. Seeing that those who were driven out of Mecca had started robbing villagers and tribesmen in the countryside, Sharif Ghalib Effendi sent messengers to the Bani Saqif tribe and ordered, ‘Go to Ta’if and raid the Wahhabis! Take for yourself whatever you capture!’ The Bani Saqif tribe attacked Ta’if to take revenge on the looters, and thus Ta’if was saved, too. ” ‘Uthman al-Mudayiqi gathered the ignorant, savage villagers of the Yaman Mountains and, with the Wahhabis he met on his way, laid siege to Mecca. Meccans suffered severely in the city forthree months. Sharif Ghalib Effendi failed in his attempts to sally out against the besiegers, although he tried ten times. The food stocks vanished. The price of bread went up to five rials and butter to six rials per oke (2.8 lb), but later no one sold anything. Muslims had to eat cats and dogs, which later could not be found. They had to eat grass and leaves. When there was nothing left to eat, the city of Mecca was surrendered to Sa’ud on the condition that he should not torture or kill the people. Sharif Ghalib Effendi was not faulty in this event, but he would not have fallen into this situation if he had called for aid from the allying tribes before. In fact, Meccans had begged Sharif Ghalib Effendi, ‘We can go on resisting till the time of pilgrimage if you obtain help from the tribes who love us, and we can defeat them when the Egyptian and Damascene pilgrims come.’ Sharif Ghalib Effendi had said, ‘I could have done it before, but it is impossible now,’ confessing his former mistake. He did not want to surrender, either, but the Meccans said,‘Oh Amir! Your blessed ancestor Rasulullah (sall-Allahu ta’ala ‘alaihi wa sallam), too, made agreement with his enemies. You, too, please agree with the enemy and relieve us of this trouble. You will be following our master Rasulullah’s sunnat by doing so. Because, Rasulullah had sent Hadrat ‘Uthman [from Khudaibiya] to the Quraish tribe in Mecca to make an agreement.’ Sharif Ghalib Effendi distracted people from this idea of surrender until the last moment and did not go into an agreement. “After the capitulation, Sa’ud ibn ‘Abd al-‘Aziz entered Mecca. He covered the Magnificent Kaba with coarse felt. He dismissed Sharif Ghalib Effendi (rahmat-Allahi ‘alaih). He attacked here and there like a pharaoh and tortured the people in an inconceivable way. Because no help had come from the Ottomans, Sharif Ghalib Effendi was offended. He disseminated the hearsay that the reason for the surrender ofMecca was due to the slackness of the Ottoman government, and he incited Sa’ud not to let the Egyptian and Damascene pilgrims into Mecca in order to provoke the Ottomans to start action against the Wahhabis. “This behavior of Sharif Ghalib Effendi made Sa’ud get more ferocious, and he increased the torture. He tortured and killed most of the ‘ulama’ of Ahl as-Sunnat and prominent and rich people of Mecca. He threatened those who did not announce that they were Wahhabis. His men shouted, ‘Accept Sa’ud’s religion! Shelter under his vast shadow!’ in markets, bazars and streets. He forced Muslims to accept Muhammad ibn ‘Abd al-Wahhab’s religion. The number of the faithful people who could protect their true faith and correct madhhab decreased greatly, as it was in the deserts. “Sharif Ghalib Effendi, seeing the dismal situation and apprehending that Islam would be annihilated also in the Hijaz and the blessed cities as it had in the Arabian deserts, sent a message to Sa’ud, saying, ‘You cannot resist the Ottoman army that will be sent from Istanbul if you stay in Mecca after the season of the pilgrimage. You will be captured and killed. Do not stay in Meccaafter the pilgrimage, go away!’ This message was of no avail but only increased Sa’ud’s ferocity and cruelty in torturing Muslims. ‘Is Hadrat Muhammad (‘alaihi ‘s-salam) alive in his grave? Sa’ud asked him this question because he expected such an answer on account of which he would easily torture him to death. ‘Then, show us that the Prophet is alive in his grave so that we may believe you. It will be understood that you are obstinate in refusing my religion if you answer incongruously, and I will kill you,’ said Sa’ud. ‘I shall not try to convince you by showing something unrelated to the subject. Let’s go to al-Madinat al-Munawwara together and stand in front of the Muwajahat as-Saada. I shall greet him. If he returns my greeting, you will see that our master Rasulullah is alive in his blessed grave and that he hears and answers those who greet him. If we get no answer to my greeting, it will be understood that I am a liar. Then you may punish me in any way you wish,’ answered the alim of Ahl as-Sunnat. Sa’ud got very angry at this answer but let him go, for he would have become a disbeliever or polytheist according to his own beliefs if he had done as the alim proposed. He was stupefied for he was not learned enough to make any rejoinder to this answer. He set the alim free so that he might not be disreputed. However, he ordered one soldier to kill him and to immediately let him know when he was killed. But the Wahhabi soldier, by the Grace of Allah, could not find an opportunity to attain his goal. This terrible news reached the ear of that mujahid scholar, who then migrated away from Mecca thinking that it would not be good for him to stay inMecca any longer. “Sa’ud sent an assassin after the mujahid when he heard of his departure. The assassin traveled day and night, thinking that he would kill one belonging to Ahl as-sunnat and win much thawab. He caught up with the mujahid but saw that he had died a normal death shortly before he reached him. He tethered the mujahid’s camel to a tree and went to a well for water. When he returned, he found that the corpse was gone and only the camel was there. He went back to Sa’ud and told him what had happened. ‘Oh, yes!’ Sa’ud said, ‘I dreamt of that person ascending to the heavens among voices of dhikr and tasbih. 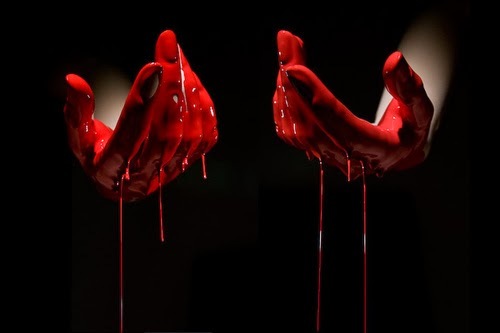 Thereupon, the Wahhabi said, ‘You sent me to murder such a blessed person! And now you do not correct your corrupt belief although you see Allahu ta’ala’s favor on him!’ and swore at Sa’ud.He repented. Sa’ud did not even listen to the man. He appointed ‘Uthman al-Mudayiqi to be the governor of Mecca and went back do Dar’iyya. “Sa’ud ibn ‘Abd al-‘Aziz lived in Dar’iyya. He captured the blessed city of Medina, too. Later, he set out for Mecca with those who wanted to go on pilgrimage and those who were able to talk well. Men of religious attire who were to praise and disseminate Wahhabism went ahead. They started reading and explaining the book written by Ibn ‘Abd al-Wahhab in the Masjid al-Haram in Mecca on Friday the 7th of Muharram, 1221 (1806). Sa’ud ibn ‘Abd al-‘Aziz arrived ten days later. He settled in Sharif Ghalib Effendi’s mansion at Mu’alla Square. He put a part of the cover he wore on Sharif Ghalib Effendi as a demonstration of friendship. And Sharif Ghalib Effendi showed friendship towards him. They went together to Masjid al-Haram and performed tawaf around the Magnificent Kaba together. “Meanwhile, the news came that a caravan of Damascene pilgrims was coming towards Mecca. Sa’ud sent Masud ibn Mudayiqi to meet the caravan and tell them that they would not be allowed into Mecca. Masud met the caravan and said, ‘You disregarded the previous agreement. Sa’ud ibn ‘Abd al-‘Aziz had sent you an order with Salih ibn Salih that you should not come with soldiers. But you come with soldiers! You cannot enter Mecca, for you have not obeyed the order.’ The leader of the caravan, ‘Abdullah Pasha, sent Yusuf Pasha to Sa’ud to ask his forgiveness and permission. Yusuf Pasha surrendered to him the sacks of gold and turned back. “The news that the Damascene caravan was prevented from carrying out the pilgrimage spread as a terrible shock among the Muslim world. Meccan Muslims wept and lamented for they thought that they, too, were forbidden to got to ‘Arafat. The following day they were given permission to go to ‘Arafat, but were forbidden to go on mahfas or camel-palanquins. Everybody, even judges and ‘ulama’, went to ‘Arafat on donkey or camel. Instead of the Qadi of Mecca, a Wahhabi delivered the khutba at ‘Arafat. They returned to Mecca after carrying out the acts necessary to the pilgrimage. “Sa’ud dismissed the Qadi of Mecca, Khatib-zada Muhammad Effendi, from service upon his arrival to Mecca and appointed a Wahhabi named ‘Abd ar-Rahman as the Qadi. ‘Abd ar-Rahman summoned Muhammad Effendi, Su’ada Effendi, the mullah (chief judge) of Medina, and ‘Atai Effendi, the Naqib(representative of the Sharifs in Mecca) of the blessed city ofMecca, and made them sit on the felt on the floor. He told them to pay homage to Sa’ud. These ‘alims clasped hands saying, ‘La ilaha illa’llah wahdahu la Sharika lah,’ in accord with the Wahhabite belief and sat down on the floor again. Sa’ud laughed and said, ‘I command you and the pilgrims of the Damascene caravan to Salih ibn Salih’s care. Salih is one of my good men. I trust him. I permit you to go to Damascus on the condition that you will pay 300 kurushes for each mafha -and load- camel and 150 kurushes for each donkey. It is a great favor for you to be able to go to Damascus at such a low price. 40 – Sulaiman Khan I, the seventy-fifth Khalifa of Islam and the tenth Ottoman Sultan (rahmat-Allahi ‘alaih) had restored the walls around the blessed city of Medina; the city had not suffered any assault of bandits for 274 years owing to its strong walls, and Muslims had lived in comfort and peace in the city till early 1222 A.H. (1807), when they fell prey to the hands of Sa’ud. Sa’ud sent the looters he raised from the villages to Medina after capturing al-Makkat al-Mukarrama and the villages around it. He appointed two brothers named Baday and Nadi as commanders of the looters. They plundered the Muslim villages on their way and killed many Muslims. Most of the villages around Medinawere set to fire and demolished. The Muslims who were on the right path shown by the ‘ulama’ of Ahl as-Sunnat were looted and put to the sword. There were so many villages burnt and Muslims killed that nobody could make an approximate estimate. The villages aroundMedina accepted the Wahhabite beliefs for fear of plunder, torture and death. They became servants and slaves to Sa’ud. This letter frightened the Medinans very much. They had heard about the tortures and massacre inflicted upon the Ta’ifian women and children (rahmat-Allahi ta’ala ‘alaihim ajmain) a few days ago and had shuddered with fear. They could say neither ‘yes’ nor ‘no’ to Sa’ud ibn ‘Abd al-‘Aziz’s letter. They could surrender neither their lives nor their religion. Seeing no answer to the letter, the head of the bandits, Baday the treacherous, attacked Yanbu’, the seaport of Medina. After capturing Yanbu’, he laid siege to Medina and severely attacked the ‘Anbariyya gate of the walls. Just on that day, the Damascene pilgrims came with their leader ‘Abdullah Pasha. Upon seeing the city under siege, the pilgrims and the accompanying soldiers started fighting against the bandits. About two hundred bandits were killed in two hours of bloody battle while the remainder ran away. The Muslims enjoyed peace in Medina until ‘Abdullah Pasha completed his duties of pilgrimage, but the traitorous Baday besieged the city again after the Damascene pilgrims left. He captured Quba, Awali and Qurban and built two bastions in the district. He barred the roads to the city and demolished the aqueducts called the ‘Ain az-zarqa.’ Thus, the Muslims were left without food and water. a mujiza: The water of the well at the Baghchat ar-Rasul in Masjid an-Nabi increased and its hardness decreased and brackish taste disappeared after the ‘Ain az-zarqa’ was demolished and the water-supply in the city was exhausted. No Muslim suffered thirst. Formerly, this well was known for its brackish water. Sa’ud treated the messengers very violently upon reading the letter and was not ashamed of saying that he was very angry with and hostile towards the people of Medina. He forced the Muslims to renounce their madhhabs. The fallacious, heretical terms dictated to the Medinan messengers by Sa’ud are written in detail in the book Tareekh-i Wahhabiyyan. The Medinan messengers went back to Medina after accepting Sa’ud’s orders under compulsion. The Medinans, stupefied by these events, showed acceptance unwillingly, as the one who falls into the sea grasps the serpent. They surrendered the Medinafortress to seventy men of Baday as required by the seventh clause of the agreement. One of the terms of the agreement was that the shrines in Medina should be demolished. They unwillingly fulfilled the terms in order not to be tortured. Although they did so unwillingly, these deeds of theirs gave way to very bad consequences. No answer came from the letters written to Istanbul for help. The Medinans lived under torture and oppression for three years. When they lost hope of help from Istanbul, they wrote a letter to Sa’ud asking for forgiveness and mercy and sent it to Dar’iyya with Husain Shakir and Muhammad Saghayee. But Sa’ud did not receive the messengers for he had heard that the people of Medina had asked Istanbul for help before. He set out for Medina with a large flock of brigands to increase the oppression and torture on the Medinans. As soon as he entered Medina, Sa’ud ordered the servants of shrines themselves to demolish the shrines. Although the Muslims had demolished many noble shrines as required by the third clause of the terms accepted three years before, they had not dared to touch a few shrines which they knew to be great and blessed. The servants of these shrines started demolishing them while weeping and lamenting. The servant of Hadrat Hamza’s (radi-‘Allahu ‘anh) shrine said he was very old and could not do anything, and Sa’ud ordered a treacherous slave of his to demolish the shrine. That person climbed up the dome to start demolishing it but fell down and died, and Sa’ud, the filthy, gave up demolishingHadrat Hamza’s shrine, yet he had its door removed. After supervising the operation of this base order of his, he made a speech on the dais constructed in Manaha Place. He said that the Medinans did not want to obey him, but became munafiqs out of fear and wanted to go on being polytheists as before. He added, in a very ugly and impertinent voice, that those who took refuge in the fortress should come and show humility, and that those who did not come would suffer the “Wahhabite justice” performed in Ta’if. Everybody was frightened when the fortress gates were closed and it was announced in every street that all the people should assemble in Manaha Place. They supposed they, too, like the Ta’ifians, would be tortured to death. They went to Manaha Placeafter kissing away, the children’s tears and saying good-bye to and mutually asking forgiveness from their wives. Men and women assembled in two separate groups and bowed their neck towards the bright dome ofRasulullah’s (sall-Allahu ‘alaihi wa sallam) blessed shrine. The blessed city of Medina had not suffered such a sad day ever before. Sa’ud was mad and enraged with a blind grudge towards the Muslims. But, Allahu ta’ala protected the city of Medina from being painted with blood, with the blessing of Rasulullah. After insulting the Muslims with unbecoming and mean words incompatible with modesty, Sa’ud ordered his bandits to settle in the Medina fortress. He appointed Hasan Chawush, one of the rascals he trusted the most, to be the governor of Medina and went back to Dar’iyya. He came to Medina again after performing hajj in Mecca during the pilgrimage season. Sa’ud came out from his den to the courthouse when the Damascene caravan went two or three days’ way away fromMedina. Without even a tremble of his dark, stony heart, he let his bandits plunder the precious gifts; the works of art of great historical value; invaluable pieces of art gilded with gold and inlaid with jewels and with precious stones; and select copies of the Qur’an al-karim and rare books, which had been kept in Rasulullah’s blessed shrine and in the treasure of Masjid an-Nabawi that had been sent as choice, elaborate gifts by Muslim sultans, commanders, artists and ‘ulama’ from the whole Muslim world over a millennium. The fire of hatred in him against the Muslims did not calm down even after this shameful vileness of his, and he went on demolishing the remaining graves belonging to the Sahabis and martyrs. Although he attempted to demolish the dome ofRasulullah’s blessed shrine, the Muslims’ cries and entreaties made him give up; yet he ruined the Shabakat as-Saada, fortunately not touching the walls. He ordered that the walls around Medinashould be repaired. Sa’ud, after making many similar unbecoming and vulgar slanders, which we dare not to quote, let the gates of Masjid as-Saada be opened. He appointed his son ‘Abdullah the governor of Medinaand went to Dar’iyya. Thereafter, ‘Abdullah ibn Sa’ud left no harm undone to the Medinan Muslims. 41 – During those years, the Ottoman State was busy with foreign affairs and was trying to extinguish the fire of rebellion incited by freemasons. When Sa’ud’s torture to the Muslims and insults towards Islam reached an unbearable severity in 1226 A.H. (1811), the Caliph of the Muslims, Sultan Mahmud Khan ‘Adli II (rahmat-Allahi ‘alaih), sent a written order to the Governor of Egypt, Muhammad ‘Ali Pasha(rahimah-Allahu ta’ala), to punish the bandits. Muhammad ‘Ali Pasha set out an army corps from Egypt under the command of his son Tosun Pasha in the month of Ramadan. Tosun Pasha captured Yanbu’ town, the seaport of Medina, but he was defeated in a severe battle at a place between the Safra Valley and the Judaida Pass on his way to Medina during the first days of Dhu ‘l-Hijja, 1226. Although Tosun Pasha did not suffer any harm, most of the Ottoman Muslims were martyred. Muhammad ‘Ali Pasha grieved about this misfortune and set out with a bigger army corps armed with eighteen cannons, three big mortars and many other weapons. They passed the Safra Valley and the Judaida Pass in Shaban 1227 (1812). They captured many villages without any combat in Ramadan. Muhammad ‘Ali Pasha, as he was advised by Sharif Ghalib Effendi, acted very intelligently in gaining these successes by distributing 118,000 rials to the villages which easily gave in to money. If Tosun Pasha had consulted Sharif Ghalib Effendi as his father did, he would not have lost his big army corps. Sharif Ghalib Effendi was the amir of Mecca appointed by the Wahhabis; however, he had a heartfelt desire to liberate Meccafrom those ferocious bandits. Muhammad ‘Ali Pasha also capturedMedina without bloodshed at the end of Dhu ‘l-Qada. Reports of these victories were sent to Egypt to be communicated to the Caliph. The people of Egypt rejoiced over the victories for three days and nights, and the good news of the victories were made known to all Muslim countries. Muhammad ‘Ali Pasha had sent a division to Mecca via Jidda. The division arrived in Jidda early in Muharram 1228 and marched on towards Mecca. They enteredMecca easily by following the plans secretly organized by Sharif Ghalib Effendi. The bandits and their commander had fled the city and taken refuge in the mountains when they had heard the news that the Ottoman division was nearing Mecca. Sa’ud ibn ‘Abd al-‘Aziz had turned back to his den of mischief, Dar’iyya, in 1227, after the pilgrimage and a visit to Ta’if where much Muslim blood had been shed. He was astonished to learn that al-Madinat al-Munawwara and then al-Makkat al-Mukarrama were taken by the Ottomans when he arrived in Dar’iyya. Just during those days, the Ottoman soldiers attacked Ta’if but met no resistance, for the tyrant of Ta’if, ‘Uthman al-Mudayiqi, and his soldiers had fled from fear. The good news was presented to the Caliph of the Muslims in Istanbul, Hadrat Sultan Mahmud Khan ‘Adli, who felt very happy and expressed thanks in the deepest sense for this blessing of Allahu ta’ala. He sent his thanks and gifts to Muhammad ‘Ali Pasha and ordered him to go to the Hijaz again to inspect and control the bandits. Muhammad ‘Ali Pasha, obeying Sultan Mahmud Khan’s order, set out from Egypt again. At that time, Sharif Ghalib Effendi was in Ta’if with the Ottoman soldiers, busy with searching for the bloody-handed tyrant ‘Uthman. After a well-organized search, ‘Uthman was arrested and sent to Egypt and then to Istanbul. Muhammad ‘Ali Pasha sent Sharif Ghalib Effendi to Istanbul when he arrived in Mecca and appointed his brother Yahya ibn Masud Effendi (rahimah-Allahu ta’ala) to be the amir of Mecca. Mubarak ibn Maghyan, another bandit, was also arrested and sent toIstanbul in Muharram 1229. These two bandits, who shed the blood of thousands of Muslims, got the punishment they deserved after being paraded in the streets of Istanbul for exposition. Sharif Ghalib Effendi, who served as the amir of Mecca for 26 years, was given a warm welcome of respect and love in Istanbul, and he was sent to Salonika where he reposed until he passed away in 1231 (1815). His shrine in Salonika is open to visitors. A division was sent out to clear the places far down to Yaman after sweeping the bandits out from the blessed cities in the Hijaz. Muhammad ‘Ali Pasha went to help this division with his soldiers and cleared the whole district. He came back to Mecca and stayed there until Rajab 1230, then he appointed his son Hasan Pasha to be the governor of Mecca and returned to Egypt. Sa’ud bin ‘Abd al-‘Aziz died in 1231 and his son, ‘Abdullah ibn Sa’ud, succeeded him. Muhammad ‘Ali Pasha sent his son Ibrahim Pasha with a division under his order against ‘Abdullah ibn Sa’ud. ‘Abdullah made an agreement with Tosun Pasha that he would be loyal to the Ottomans on the condition that he would be recognized as the governor of Dar’iyya, but Muhammad ‘Ali Pasha did not accept this agreement. Ibrahim Pasha set out from Egypttowards the end of the year 1231 and arrived in Dar’iyya in the beginning of 1232. ‘Abdullah ibn Sa’ud resisted against Ibrahim Pasha with all his soldiers but was arrested after very bloody battles in Dhu ‘l-Qada1233 (1818). The good news of the victory was welcomed in Egypt with a salute of a hundred guns from the castle and rejoiced over for seven days and nights. All the streets were decked with flags. Takbirs and munajat (supplications) were recited on the minarets. “You have struggled very hard!” the Pasha said. “War is an affair of fate and luck,” Ibn Sa’ud answered. Muhammad ‘Ali Pasha ordered the casket to be opened. Three copies of the Qur’an al-karim with invaluable gildings, 330 very large pearls, a large emerald and gold chains, all stolen from the Hujrat an-Nabawiyya, were seen. “This is not all of the valuable treasures taken from the Khazinat an-Nabawiyya. There should be more, shouldn’t there?” Muhammad ‘Ali Pasha inquired. After this conversation, ‘Abdullah ibn Sa’ud and his accomplices were sent to Istanbul. These ferocious bandits, who had murdered thousands of Muslims were hung in front of a gate of the Topkapi Palace. Ibrahim Pasha demolished the Dar’iyya fortress and returned toEgypt in Muharram 1235 A.H. And one of Muhammad ibn ‘Abd al-Wahhab’s sons was brought to Egypt and kept in prison till he died. After ‘Abdullah ibn Sa’ud, Tarkee ibn ‘Abdullah of the same lineage became the chief of the Wahhabis in 1240 (1824). Tarkee’s father, ‘Abdullah, was the uncle of Sa’ud ibn ‘Abd al-‘Aziz. In 1249, Mashshari ibn Sa’ud killed Tarkee and took the reign. And Faysal, Tarkee’s son, murdered Mashshari to succeed him in leading the Wahhabis in 1254 A.H. (1838). Though he tried to resist the soldiers sent by Muhammad ‘Ali Pasha the same year, he was captured by Mirliwa (Brigadier-general) Khurshid Pasha and was sent to Egypt, where he was imprisoned. Then, Sa’ud’s son Khalid Bey, who had lived in Egypt till then, was appointed to be the amir of Dar’iyya and sent to Riyadh. Khalid Bey, who was trained according to Ottoman manners, was a polite person with the faith of Ahl as-Sunnat. Therefore, he managed to remain as the amir only for one and a half years. Someone named ‘Abdullah ibn Sazyan, pretending to be faithful towards the Ottoman State, captured many villages. He assaulted Dar’iyya and announced himself as the amir of the Najd. Khalid took refuge in Mecca. Faysal, who was in prison in Egypt, fled and, with the help of Ibn ar-Rashid, the amir of Jaba as-Samr, went to the Najd and killed Ibn Sazyan. Taking the oath of allegiance to theOttoman State, he was appointed the amir of Dar’iyya in 1259. he kept his word till he died in 1282 (1865). Faysal had four sons, namely ‘Abdullah, Sa’ud, ‘Abd ar-Rahman and Muhammad Said. The eldest one, ‘Abdullah, was appointed as the amir of Najd. Sa’ud rose in rebellion against his elder brother with the people he gathered around him on the Bahrain Island in1288 A.H. (1871). ‘Abdullah sent his brother Muhammad Said to defeat Sa’ud, but Said’s soldiers were defeated. Sa’ud had the desire of capturing all the cities of the Najd, but, because ‘Abdullah was an amir appointed by the Ottoman State, Fareeq (Major-General) Nafidh Pasha was sent with the sixth army to defeat Sa’ud. Sa’ud and all the rebels with him were annihilated, and the Najd regained comfort and peace, and all the Muslims prayed for the Caliph of the Faithful (rahmat-Allahi ‘alaih). In 1306 (1888), however, Muhammad ibn ar-Rashid captured the Najd and imprisoned ‘Abdullah. About one million savages of Asir who lived in the SawwatMountains between the cities of Ta’if and San’a had been made Wahhabis when Yaman had been invaded. Muhammad ‘Ali Pasha, after clearing the home of raiders had postponed the clearance on these mountains to a later date. This district was also taken under the control of the Ottomans during the time of Sultan ‘Abd al-Majid Khan (rahmat-Allahi ‘alaih) in 1263 A.H. The people of Asir had an amir, whom they elected, and a governor, who was appointed by the Ottoman State. They frequently rebelled against the governor who treated them kindly, but they deemed it an act of worship to obey their amir. They even attacked the port of Hodeida in Yaman during a rebellion when Kurd Mahmud Pasha was the governor, but they were killed by a fatal simum. Although they rebelled and attacked Hodeida again in 1287, a small number of Ottoman soldiers heroically prevented them from entering the town. Thereupon, a group of soldiers were sent under the command of Radif Pasha and the dens of brigands on the steep mountains were captured one by one by the fine plans and organization of Radif Pasha and the Ottoman staff officers. The dens of mischief and rebellion were cleared away. When Radif Pasha fell ill, Ghazi Ahmad Mukhtar Pasha was appointed to civilize the savages in the deserts of Yaman and in the Asir Mountains and to establish and disseminate Islamic knowledge and morals in that district. The Arabian Peninsula had been governed by the Ottomans since 923 A.H. (1517), when Yavuz Sultan Salim Khan (rahmat-Allahi ‘alaih) conquered Egypt and became the first Turkish caliph. Although the cities were governed in full peace and quietness, the nomadic, ignorant people in the deserts and on the mountains were left to be governed by their own shaikhs or amirs. These amirs occasionally rebelled. Most of them becameWahhabis and started attacking people and killing Muslims. They robbed and killed the pilgrims. In 1274 (1858), the British organized a revolution and overthrew the Islamic State in India and worked mischief also inJidda; nevertheless, peace was maintained with the policy implemented by Namiq Pasha, the governor of Mecca at that time. All the rebellious, savage amirs were brought to obedience and put under the control of the Ottoman State in 1277. It is noted in the book Mirat al-Haramain that twelve million people lived on the Arabian Peninsula in 1306 A.H. (1888) when the book was written. Although they were very intelligent and understanding, they were also extremely ignorant, cruel and murderous. Their allegiance to Sa’ud increased the intensity of their barbarism. Amir Ibn ar-Rashid, the great grandson of Ibn ar-Rashid, fought with the Ottomans against the British during the First World War. ‘Ali, his son, the amir of Ha’il, a town south-east ofMedina, passed away in 1251 (1835) and was succeeded by his elder son ‘Abdullah ar-Rashid, who governed as the amir for thirteen years. His eldest son and successor, Tallal, was poisoned by Faysal ibn Sa’ud and, as a result, went mad and committed suicide with a revolver in 1282 (1866). Mu’tab, his brother, became the amir after him, but Bandar ibn Tallal killed his uncle Mu’tab and took the reign. This amir, too, was assassinated by his uncle, Muhammad ar-Rashid, who later captured the Najd andRiyadh and imprisoned amir ‘Abdullah ibn Faysal, who belonged to the Sa’udi family, and took him to Ha’il. ‘Abd ar-Rahman, ‘Abdullah ibn Faysal’s brother, fled with his son, ‘Abd al-Aziz, and took refuge in Kuwait. Muhammad ar-Rashid died in 1315 (1897). He was succeeded by his brother’s son, ‘Abd al-‘Aziz, whose cruelty caused the rise of Wahhabism again: the amirs of Riyadh, Qasim and Buraida, united with ‘Abd al-‘Aziz who was then in thevillage of Al-Muhanna. ‘Abd al-‘Aziz ibn ‘Abd ar-Rahman ibn Faysal [ibn Sa’ud] set out for Riyadh from Kuwait with twelve dromedaries. He entered Riyadh one night in 1319 (1901). At a feast, he killed Ajlan, the governor of Riyadh, appointed by ‘Abd al-‘Aziz ibn ar-Rashid. The people of Riyadh, who had suffered much cruelty till then, elected him as the amir. 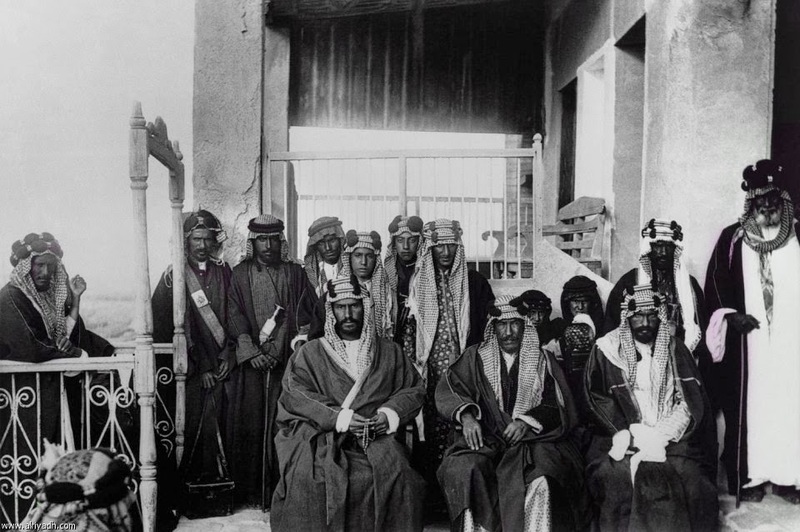 Thus, the Saudi State was established in Riyadh. Many battles took place for three years. ‘Abd al-‘Aziz ibn ar-Rashid was killed. The Ottomans intervened in the dispute in 1333 (1915) and an agreement was made with ‘Abd al-‘Aziz ibn Sa’ud on the condition that he would be the head official in Riyadh. Later, Rashidees and Sa’udis fought a battle in Qasim; Abd al-‘Aziz ibn Sa’ud suffered defeat and retreated toRiyadh. On the 17th of June, 1336 [This is not in the year of the Hijra (Hegira), with which Arabic months are used, but in the Rumi calendar, which was introduced after the Tanzimat (1839). TheOttoman State used only the Hijri calendar before the Tanzimat. ](1918), ‘Abd al-‘Aziz ibn ‘Abd ar-Rahman, with the encouragement from the British, published a declaration saying that Sharif Husain and those with him in Mecca were disbelievers and that he was performing jihad against them; he assaulted Mecca and Ta’if but could not capture these two cities from Sharif Husain Pasha. The British soldiers seized Sharif Husain ibn ‘Ali Pasha and took him toCyprus in 1342 (1924). The Pasha died in a hotel where he was imprisoned in 1349 (1931). ‘Abd al-‘Aziz ibn ‘Abd ar-Rahman easily captured Meccaand Ta’if in 1924. Earlier, on February 28th, 1337 (1919), the Ottoman soldiers, who had guarded Medina against the amir of Mecca, Sharif Husain Pasha, who was not on friendly terms with the Ittihajjilar [‘Unionists’; members of Ittihad wa Taraqqi Jam’iyyati, the secret ‘Union and Progress Society,’ which later became the Union and Progress Party.] who had taken the government of the Ottoman Empire under their own control at that time, had left the Hijaz in accord with the terms of the Mondros Armistice. Sharif ‘Abdullah, Sharif Husain Pasha’s son, had settled in Medina but the British government banished him from Medina to Amman after his father’s death. He founded the State of Jordan in 1365 (1946)but was killed by British assassins while he was performing salat in Masjid al-Aqsa in 1307 (1951). His son, Tallal, succeeded him but soon handed the rule to his soon Malik Husain because of his illness. Sharif Husain Pasha’s second son, Sharif Faysal, founded the State of Iraq in 1339 (1921) and died in 1351 (1933). He was succeeded by his son, Ghazi, who died in 1939 at the age of twenty-one. The next ruler of Iraq, his son Faysal II, was murdered by General Qasim in the coup of August 14, 1958,when he was twenty-three years old. Qasim was killed in a second coup. Iraq and Syria were captured by the socialist Ba’th Party after several coups and became dependencies of Russia. MEDINA BOMBARDED – We had previously reported that the Muslims of India were agitated by the bombardment of Medina by’Abd al-‘Aziz [Ibn Sa’ud]. The partisans of the Union and Progress Party who governed theOttoman Empire during the First World War were ignorant of Islam. They lacked Islam, Islamic training and morals. Most of those who took active parts in the government were freemasons, who tortured the Muslims in Arabia, too, as they did all over the Empire. They oppressed Muslims very ruthlessly. The people ofArabia, who were used to justice, mercy, favor and respect during the reign of Sultan ‘Abd al-Hamid Khan II (rahmat-Allahi ‘alaih), loved the Turks as their brethren. They were astonished at the torture and robbery committed by the Unionists. The son-in-law and other relatives of Sharif Husain ibn ‘Ali Pasha, the Amir ofMecca (rahmat-Allahi ‘alaih), and many Arab notables were tortured to death by the Unionist Jamal Pasha in Damascus. After the Unionist army came from Saloniki to Istanbul and dethroned Sultan ‘Abd al-Hamid Khan II, they locked in dungeons many notables of the government, ‘ulama’ and authors of the time of the Caliph, and murdered others by shooting them from behind when they were leaving their offices or mosques after prayer. They used Sultan Rashad (rahmat-Allahi ‘alaih), whom they brought to the Caliphate, like a puppet, and the legislators they appointed like tools under the threat of pistols in running the Empire from war to war, from one disaster to another. Ignoring Islam totally, they took to torturing the people and amusing themselves in dissipation. They sent into exile or hanged those zealous patriots, foresighted and sincere Muslims who opposed this crazy current flowing at full speed. Sharif Husain ibn ‘Ali Pasha was one of these sagacious Muslims who held the rank of Mir-i miran or Beghler Beghi (provincial governor) and served the Caliph and the Empire during Sultan ‘Abd al-Hamid Khan’s reign. To keep him away from Istanbul, he was appointed the Amir ofMecca when he opposed the Unionists’ putting the Empire into the disaster of the First World War. The unionists gave the name of “Jihad-i akbar” falsely to the declaration of war, which was prepared by Anwar Pasha and signed by Sultan Rashad on 22 Dhu’l-Hijja 1332 (October 29, 1914), and sent its copies to all Muslim countries. poor Sultan Rashad supposed that he was the real caliph but could not help complaining, “They do not listen to me at all!” to his close companions, expressing that he was aware of the tricks played, when he was forced to sign orders incompatible with Islam. I thought it proper to publish this second declaration for the enlightened compatriots and learned Muslims,thinking that there might be some doubt about the endeavors and ideas of ours, the people of he Hijaz, who have started an action for the reasons stated in the first declaration. I am warning our brothers in the light of the latest apparent proofs and evidences. The first reason is domestic: the Supreme Ottoman State had recently come out from the wars of Trablusgharb [Tripoli] and Balkan, and her military and economic powers had suffered great fatigue, even ruination, and the people who were her source of power had become exhausted. The soldiers in the Ottoman nation had been called under arms for wars one after another just after they had returned home and started earning the livelihood for their household, and this situation had become a tragedy for the people. Because the General War to which the Unionists have recently forced the State is extremely terrible and destructive compared to the previous wars, it has been very unwise to have led the people to such a dangerous war by loading the people with heavy taxes and torturous duties. The second reason is foreign: the Unionist government has made a big mistake in choosing the side on which to take part. TheOttoman Empire is an Islamic State. The geographical situation of her lands is of great importance and extends widely. The length of her coastlines is greater than the length of her borderlines. Therefore, the Ottoman dynasty, those exalted sultans, have almost always cooperated with those states which have had a Muslim majority and a dominant naval power. This policy of theirs has nearly always been successful. The inexperienced, ignorant leaders of the Unionists, being taken in by the appearance and deceived by baseless, false words, have changed this policy of the Ottoman sultans (rahmat-Allahi ‘alaihim ajmain). Those who are able to distinguish right from wrong and who are well versed in history have foreseen the bad and very bitter results of this stupid decision and avoided cooperating with the Unionists. Even I explained my view in detail and tried to warn them by giving historical examples when my opinion was asked for by telegram about entering into this last war, this disaster. The answer I then telegraphed is a sound document showing my ideas, goodwill and loyalty towards the Empire and my struggle for the protection of the honor of Islam. The first is [to accept] the eradication of the Ottoman Empire from the [world] map – her annihilation. The second is to find the means of protection against this disastrous annihilation. I leave it to the whole Muslim world to investigate, to think, to consult one another, and to make the necessary proposals on this matter. We took action rightfully before the dangers encircled the country and annihilated Muslims. If we could know, or even hope, that we would he helpful to the country and the nation by being loyal to this unconscious, stupid administration of the Ottoman Empire, which is a plaything in the hands of a dictatorial minority, we would not say anything or move in any way, but be patient and endure every hardship, even die. But it is very obvious that this [silence] will do not good but make the situation worse. How could it not be obvious while there is a hundred-percent probability that if we follow the way were are forced to follow [by the Unionists], we will suffer the disaster which the nations who followed such ways have suffered. Is there anyone who does not see that the Unionists have broken the huge empire into pieces and put the people into utter trouble? The huge empire is being sacrificed for the pleasure of Anwar, Jamal, Tal’at and their friends. The foreign policy of the Ottoman Empire has been the established policy accepted by the Ottoman sultans over the centuries of experience and consultations with the notables of the Empire. This policy is the policy of co-operation with the British and French governments. This policy has always been beneficial to our State and nation throughout history. Those who made us neglect this policy are the said Unionist dictators. Now we oppose the ignorant, foolish policy and brutal, torturous administration of the Unionists. We see that the Empire is being led to destruction and we never approved of it. It should be known by everyone that our opposition is against Anwar, Jamal, Tal’at and their accomplices. Every Muslim approves this just action. Every compatriot supports and is with us on this right cause. Even the Head of the Empire, the Caliph of the Faithful, is on our side with his heart and conscience. The most sound evidence supporting this is that the Wali-‘ahd (Heir to the Throne) Yusuf ‘Izz ad-din Effendi has been attacked and martyred by the Unionists. I say again: the great Ottoman Empire is being sacrificed for the evil intentions and by the destructive actions of these dictators. We seek refuge in Allahu ta’ala from their wickedness. Jamal Pasha, one of the excessive chiefs of the Unionist society, hangs or shoots to death whomever he wishes in Damascus. He has founded a night-club in Damascus, and the daughters of the notable families of the city have been used as servants in this scandal-house of prostitution and drink during the orgies he arranged with the officers he ordered to accompany him. Speeches insulting our national and religious feelings have been yelled out. Is not this vile behavior of his a trampling on the chastity and dignity of Turkish Muslim women as well as a disregard for the commands in Surat an-Nur of the Qur’an al-karim? Does not this behavior of Jamal Pasha show that the Unionists do not at all respect the religion of Islam or Turkish and Arabic customs? I have mentioned some of the grievous, destructive behavior of the Unionist partisans, who lead the people and the Empire to ruination. I write all these in order to awaken my Muslim brothers living on Ottoman lands and in Muslim countries, thus to serve my milla [Muslim world] and country. I want to communicate to my fellow-countrymen that the Unionists are acting out of caprice without thinking of the safety of the Empire and the nation. Let alone believing and respecting the Divine Orders and Prohibitions, they are even striving to change and spoil these sacred rules. Therefore, I ask my Muslim brothers not to support this destructive, discordant, stupid and vile course of theirs. It is not proper to obey those who disobey Allahu ta’ala and who oppress men! He who has the power to reverse their actions should try to do so with his hand, tongue and heart! If there are those who cannot see the harm of the Unionists and who approve of their actions, I am ready to hear them out. Our salam be upon those who are on the right path and who do useful work! These two declarations reveal Sharif Husain Pasha’s sincere intention and whole faith, as well as his wrong ideas and harmful conclusions. His greatest mistake was that he could not understand the aggressiveness of the British against Islam throughout history. [It was certainly wrong to fight against the British who would dominate the seas and had big power of army and arms. But, to cooperate with this fierce enemy of Islam is a bigger mistake.] It is seen that he had not heard about the raid made by the British forces upon Istanbul to annihilate the Ottomans during the time of Sultan Salim Khan the Third. The British even barbarously attacked Muslim countries in Asia and Africa and colonized and exploited them during that same period. They annihilated the Muslim ‘ulama’, Islamic books, Islamic culture and morals in those countries. The British deceived the Ottoman Sultan ‘Abd al-Majid Khan (rahmat-Allahi ‘alaih) and placed freemasons in important posts of the State and started spoiling the faith and morals of Muslims through them.These freemasons brought up those who acted as spies for the British during the First World War. They annihilated the Great Empire demolishing it both from within and from without. In his book Inhitat-i Islam, Grand Vizier Said Halim Pasha wrote in detail how the State was annihilated. Sharif Husain Pasha supposed that the most perilous enemy of Islam would help Islam, very probably because he had not studied the historical evidences. An influential person like Sharif Husain Pasha, who understood the evilness of the Unionists, could have done away with Jamal Pasha and the degenerates hired by the British in Damascus and could have prevented the treachery committed on the Palestinian front by those who fought to win better posts. He could have done this easily. If he had done so, the Ottomans would not have suffered defeat, and a great Hashimi Muslim state would have been founded on the Arabian Peninsula, and the blessed cities of Mecca, Medinaand Jerusalem would have remained in his hands. 42 – After Muhammad ‘Ali Pasha, the Governor of Egypt, cleared the district of the Hijaz by order of the Caliph of the Muslims, Sultan Mahmud ‘Adli Khan the Second (rahmat-Allahi ‘alaih), the tombs of the Sahabat al-kiram, the wives of Rasulullah and martyrs (radi-Allahu ta’ala ‘anhum) were built up again, and Masjid as-Saada and the Hujrat an-Nabawi were restored. Sultan ‘Abd al-Majid Khan spent hundreds of thousands of gold coins for their construction, ornamentation and maintenance. His endeavors in this respect were amazingly grand. [See article 15.] Sultan ‘Abd al-‘Aziz Khan (rahmat-Allahi ‘alaih) restored the walls around Medina in 1285 A.H. Also a big arsenal, a government office, a jail and two store-houses, one for arms and one for ammunition, were built through his efforts. Sultan ‘Abd al-Hamid Khan the Second (rahmat-Allahi ‘alaih) constructed the railway from Damascus to Medina. The first train to Medina arrived at the blessed city on August 19th, 1326 (1908). The sixteenth division was in Mecca at the time. There were six mosques with minarets, sixty-seven small mosques without minarets, six madrasas, two public libraries, one secondary and forty-three primary schools, two covered bazars, nine inns, nineteen tekkes, two public baths, twenty-five large stores, three thousand shops, one hospital and forty fountains in Mecca when ‘Abd al-Hamid Khan the Second was the Sultan. Large and comfortable guesthouses were built for the pilgrims as well. A water-supply had been constructed from a distance of three days’ way to ‘Arafat in Harun ar-Rashid’s time; Mihr-u Mah Sultan, the daughter of Sultan Sulaiman Khan, extended this water-supply to Mecca. The population of Mecca was about eighty thousand at that time. Medina is surrounded with a wall which is thirty meters high and has forty turrets and four gates. The length and width of the Haram ash-Sharif are 165 and 130 paces, respectively. There is the gate Bab as-Salam ornamented with marble and gold writings on the south west corner of the Haram ash-Sharif. The Hujrat an-nabawi is in the southeast corner of the Haram ash-Sharif. Bab as-Salam is on the right and the Hujrat as-Saada is on the left when one stands in front of the qibla wall facing the qibla. The Hujrat an-Nabawi is designed with very precious ornaments all over it. Most of the houses in Medina are built of stone and four -or five- storied like those in Mecca. Sultan Sulaiman Khan (rahmat-Allahi ‘alaih) constructed the water-supply from Quba to Medina. As written in the book Mirat al-Madina, the Masjid ash-Sharif inMedina was built by Rasulullah (sall-Allahu ‘alaihi wa sallam) and as-Sahabat al-kiram in the first year of the Hegira. When it was commanded that the qibla should be changed from Quds (Jerusalem) to the Kaba in the month of Rajab in the next year, the gate of the masjid on the Meccan side was closed and a new gate on the opposite, that is, the Damascene side, was opened. This gate is called ‘Bab at-tawassul’ now. In Medina, salat was performed towards Quds for about 16 months. In Mecca, salat had been performed formerly towards the Kaba, and it had been commanded to perform it towards Quds a little before the Hegira. While the qibla of the masjid was changed, the direction of the qibla was determined by Rasulullah’s seeing the Kaba with his blessed eyes. The place where Rasulullah performed salat is between the minbar and the Hujrat as-Saada, and it is closer to the former. The copy of the Qur’an al-karim sent in a big wooden box by Hajjaj to al-Madinat al-Munawwara was placed with this box on the right side of the pillar which is in front of this place. The first mihrab was placed here by ‘Umar ibn ‘Abd al-‘Aziz. After the second fire, Masjid as-Saada was repaired and the present marble mihrab was constructed in the year 888 A.H. But this marble mihrab was placed somewhat closer to the Hujrat as-Saada. Formerly, there was not a minbar in Masjid an-Nabi, andRasulullah delivered the khutba standing, where a branch of a date tree was erected later. And still later a minbar of four stairs was made, and Rasulullah stood on the third stair. A curtain was hung at the door of the minbar during the time of Hadrat Muawiya.During the time of the Prophet, there were eight pillars in Masjid an-Nabi. At the times when the religious necessity for the enlargement of the masjid was concluded, the number of pillars added up to 327. At the Rawdat al-mutahhara, there are three lines of pillars and in each line there are four pillars. Some of these pillars are in the walls. The number of pillars in sight is 229. The southern wall of the masjid faces the qibla. The bower where the Ashab as-suffa used to reside is outside the northern wall. In order not to lose this blessed place by time, its base was raised half a meter from the level, and a wooden fence of half a meter high was put around it. While Masjid ash-Sharif was being constructed, a room for each of the two pure wives of the Prophet was constructed (next to the masjid). The number of rooms became nine later on. Their ceiling was one and a half meters high. They were on the east, north or south of the masjid. Every room, including those of some Sahabis, had two doors, one opening to the masjid and the other to the street. Rasulullah (sall-Allahu ‘Alaihi wa sallam) stayed mostly at ‘Aisha’s (radi-Allahu ‘anha) room, whose door to the masjid was made of teak. During the time of the Four Caliphs, as-Sahabat al-kiram competed with one another for a place in one of the eight rooms for the Juma salat. Hadrat Fatima’s (radi-Allahu ‘anha) room was next to and on the north of Hadrat ‘Aisha’s room. This room was later included in the Shabakat as-Saada. Except the one belonging to Abu Bakr, all the doors opening to the masjid were closed on the order of Rasulullah five days before he passed away. Abu Bakr, the first Caliph (radi-Allahu ‘anh), endeavored against the murtads on the Arabian Peninsula as his first job, and could not find time to enlarge Masjid as-Saada. In the seventeenth year of he Hegira, Hadrat ‘Umar (radi-Allahu ‘anh) gathered as-Sahabat al-kiram and reported to them the hadith ash-Sharif, “Masjid ash-Sharif should be enlarged.” As-Sahabat al-kiram unanimously accepted it and, demolishing the Damascene and west walls of the masjid, enlarged it by fifteen meters. Many houses were bought and their plots were added to the masjid. In the year 35, Hadrat ‘Uthman (radi-Allahu ‘anh), consulting with the Ashab ash-shura and getting the unanimity of as-Sahabat al-kiram demolished the southern, northern and western walls and enlarged the masjid ten meters in width and twenty meters in length. Meanwhile, the rooms of Hadrat Hafsa, Talha ibn ‘Abdullah and ‘Abbas were added to the masjid. On the written order of Caliph Walid to his cousin ‘Umar ibn ‘Abd al-‘Aziz, the Governor of Medina, the houses of the pure wives of the Prophet and that of Fatima az-Zahra, which were on the north, were demolished and their plots were added to the masjid in theyear 87. Thus, Rasulullah’s (sall-Allahu ‘alaihi wa sallam) blessed tomb was included in the masjid. As-Sahabat al-kiram, the four aimmat al-madhahib and the Muslim ‘ulama’ of fourteen centuries did not say anything against this. This assertion of the periodical is a disrespect against ijma’ al-Umma and dissention from the Muslim community. That this is disbelief has been unanimously reported by the ‘ulama’ of the four madhhabs (rahimahum-Allahu ta’ala). We wish that the Saudi Arabian government should not get involved in such an ugly act and should not break the hearts of Muslims all over the world. Disrespect to the Hujrat as-Saada has been witnessed many times, but those who committed it have been punished by Allahu ta’ala even in this world, the examples of which are very many. It is written at the end of Mirat al-Madina, “When the Governor of the Hijaz, Halat Pasha, visited Medina in 1296 A.H. (1879), the head of the servants at the Hujrat as-Saada, Tahsin Agha, with a view of winning the favor of the Pasha, said, ‘Let’s have the women of your house visit the Hujrat as-saada. This chance would not be met at other times.’ The Pasha, though refrained from it at first, took the women of close and distant relations of his house into the Shabakat as-Saada at midnight upon the urging of the Agha. Since there were unclean women without an ablution among themand because of this disrespect towards Rasulullah (sall-Allahu ‘alaihi wa sallam), a violent earthquake occurred three times in Medina the next morning. People ran to and fro in panic. When its cause was understood, the Pasha was disgraced and was let out of Medina. A little later, he died and his family melted away. During the time of Shams ad-din Effendi, the head of the servants at the Hujrat as-Saada and several vagabonds fromAleppo entered Masjid an-Nabi one night with the view of taking away the blessed corpses of Hadrat Abu Bakr and Hadrat ‘Umar(radi-Allahu ‘anhuma). But all of them sank into the earth and vanished. This event is written in detail at the end of Mirat al-Madina and in Riyad an-nadara. The brigand named Artat, who was the ruler of the Karak castle and the villages on the outskirts of Nabulus town nearDamascus, wanted to take the Prophet’s corpse and had small ships be constructed for the transportation in 578 A.H. (1183).He had the ships come together in the Red Sea and sent them to Yanbu’, the seaport of Medina, with 350 bandits. The Sharifs of Medina heard of this and reported it to Salah ad-din al-Ayyubi (rahmat-Allahi ‘alaih), who was in Harran. Salah ad-din was grieved much by this news, and he sent an order to the Governor of Egypt, Husam ad-din Saif ad-dawla (rahimah-Allahu ta’ala). Husam ad-din sent soldiers under the command of Lulu’, who killed some of the bandits near Medina and captured others, who were taken to Egypt. This event is written in detail in Rawdat al-abrar. Those who have attempted to commit impudence towards Rasulullah during his life or after his death have been severely punished by Allahu ta’ala. And, one day, if the Saudis, following their heretical beliefs and evil thoughts, dare to stage such a vile attempt, they should know it well that that day will be the end of both their State and madhhab, and that they will be remembered with damnation until the Last Day.